ndio kusema maangamizi ya iran yanakaribia? 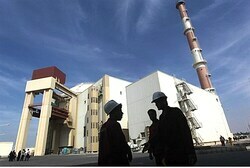 [h=2]ideo: Doomsday for Iran? US Tests EMP Bomb[/h]Boeing has successfully tested an EMP missile that could be doomsday for Iran; media have largely ignored the development. Boeing has successful tested anelectro-magnetic pulse (EMP) missile that turns science fiction into science fact and could be the doomsday weapon against Iran, but media have largely ignored the development. The U.S. Air Force and Boeing demonstrated the device more than two months ago over a military site in the Utah desert, reported the VR-Zonetechnology website. Keith Coleman, who serves as Boeings CHAMP program manager in their Phantom Works division, stated that video camera showed images of numerous desktop computers running, and then suddenly all of them go out quickly followed by the camera going to black, VR-Zone reported. We hit every target we wanted to... Today we made science fiction, science fact, said Coleman. An Arutz Sheva opinion article in August mentioned Israel's possible use of an EMP bomb against Iran. The report triggered a chain reaction, allegedly influencing U.S. intelligence sources who have since been quoted in several publications with doubtful assumptions that the article [COLOR=#0000CC !important]reflected Israel government thinking. EMP causes non-lethal gamma energy to react with the magnetic field and produces a powerful electromagnetic shock wave that can destroy electronic devices, especially those used in Irans nuclear plants. The shock wave would knock out Irans power grid and communications systems for transport and [COLOR=#0000CC !important]financial services[/COLOR], leading to economic collapse. Hii ni Silaha njema sana kwa sababu haiuwi ila inaleta madhara makubwa sana kwa jamii husika. Wakikuchapa, utarudi nyuma sana. Ila kwa Tanzania, hatutai-feel sana kama watu wa West.